We always have a busy environment in the workplace, and it makes us overlook some important safety concerns in the building. You are right; we are talking about your electrical system. After all, it is the one that keeps the business operating. If you are thinking of ways to keep your building a safe place for your employees and to anyone who pays a visit, Hightower Service Inc. can guide you all the way. Check out these tips to prevent electrical dangers in the workplace. Your commercial building is made up of busy people and even busier machines and electrical equipment. With routine maintenance, proper operations of these devices are guaranteed. Our commercial maintenance checks ensure that your units are working properly and if there are signs that your electrical devices may fail, you are informed ahead of time. If it has been some time when you last scheduled a maintenance check for your electrical system, now is the time to call our professionals. You can also do a system check around the workplace, like searching for wear and tear in the insulations. If there are, your place may be prone to electrical emergencies, so you need to call an electrician right way. There are times when electrical appliances take too long to operate, and this can get really frustrating especially when you have a busy schedule ahead of you. When this happens, some employees tend to use the equipment incorrectly which leads them to electrical hazards. If you are having trouble with faulty electrical systems, the best thing to do is to call a professional electrician for help. Of all the people in the workplace, your employees are the ones who regularly use the electrical appliances. It’s just right to inform them of the proper use and care of the electrical equipment to prevent problems from taking place. By providing your employees with training on the proper use of electrical appliances, you are ensuring their safety inside the workplace. You can even invite licensed electricians to share some insights and experiences. 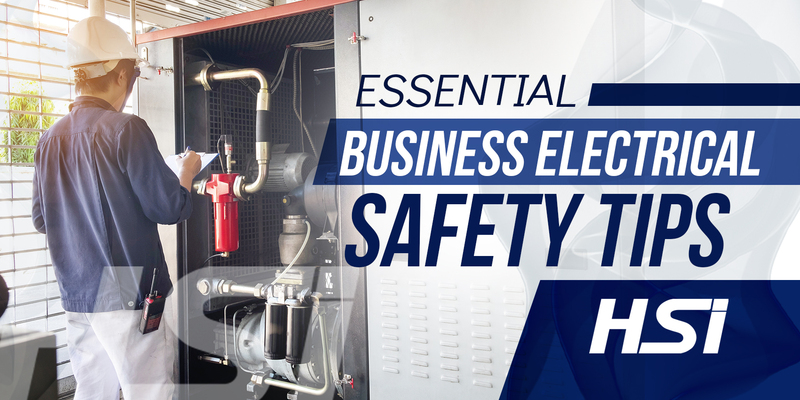 Do not let electrical hazards hinder the growth of your business or put your employee’s life in jeopardy. At Hightower Service Inc. we have a team of licensed electricians who are knowledgeable and well-trained in handling commercial electrical issues.